The Vera is back for yet another season, as you can see why. 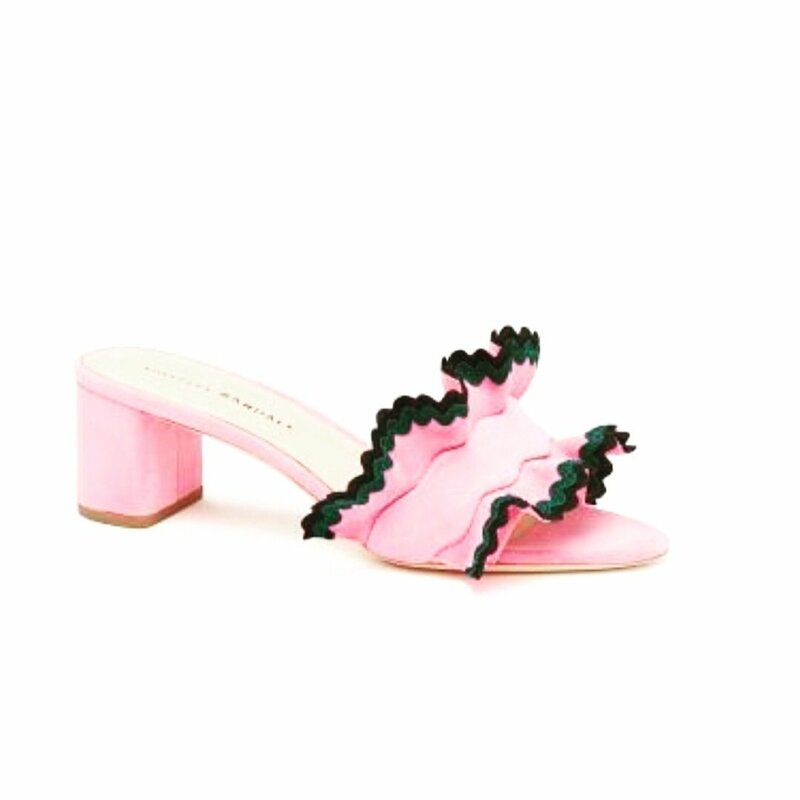 With its modern heel style and feminine ruffles pair this with a casual outfit or even an cocktail party and you are guaranteed to turn heads. The peony pink color goes well with almost any color. Grosgrain ribbon is dark green and navy.